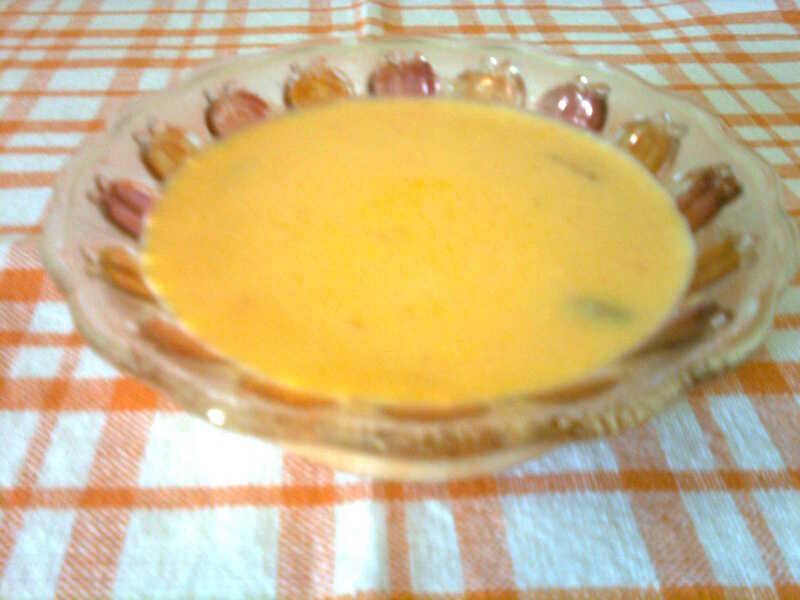 We had some guests for lunch on last weekend and I made this Carrot Kheer for the dessert. I had read it on some of the blogs and decided to give it a try. It tasted good and was a good change. Do add a lot of dry fruits and don’t forget cardamom powder and saffron strands. Serve chilled. Take carrot pieces and 1 cup milk, put it in a cooker vessel and pressure cook for 2 whistles. Let it cool and grind to a smooth puree along with the milk. Heat ghee in a heavy bottomed saucepan. Fry the dry fruits till light brown and put the carrot pulp. Fry the pulp for approx 4 to 5 minutes. Add half liter milk, sugar, cardamom powder and saffron. Let it boil. It thicken slightly on boiling. Keep in the fridge for a minimum 3 to 4 hours. It tastes better when served chilled. Posted on April 14, 2012 by Varsha	• This entry was posted in Desserts and Sweets. Bookmark the permalink.